1 July. At Malvern Hill in Virginia, the Seven Days Battle winds down. The Confederates have made multiple attacks on a strong Union position, taking 5300 casualties without gaining any ground. However, General George B. McClellan withdraws his Union forces to a fortified position on the James River, thus gaining the protection of gunboats. He no longer presents a threat to Richmond and Lee moves on to other objectives. This is the end of the "Peninsular Campaign". In one week there were more than 35,000 casualties. 1 July. The U. S. Revenue Act of 1862, passed to help fund the war, establishes a Commissioner of Internal Revenue and a progressive rate income tax. Annual income of U. S. residents, to the extent it exceeds $600, is taxed at a 3% rate, those earning over $10,000 per year at a 5% rate. By the end of the war, 10% of Union households will have paid some form of income tax and the Union raises 21% of its war revenue with this tax. The tax will end in 1872. The returns for this tax can be seen in our Ancestry database, "U. S. IRS Tax Assessment Lists, 1862-1918". However the costs of the war are enormous. A random example, "The army spent more than $1 million a month just on forage for its horses, or more than the cumulative federal budget for the first two decades of the nineteenth century." 4 July. John Franklin Speck is captain of the new company from Lincoln County that will be Co. G, 57th Regiment North Carolina Infantry. 11 July. Major General Henry W. Hallack is named commander-in-chief of the U. S. armies. 12 July. The U. S. Medal of Honor is created by law. 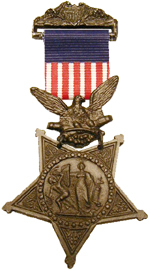 The first "Medal of Honor" had been created for the Navy in December 1861. This new legislation establishes an Army medal. There have been many changes in procedures for this award through the years, but it remains the preeminent award for valor. Sometime this month at Harrison's Landing, Virginia, Union general Daniel Butterfield decides that the bugle call "To Extinguish Lights" used at the end of the day is too formal. In collaboration with bugler Oliver Norton, he revises an earlier composition, "Scott's Tattoo". Norton remembered, "After getting it to his satisfaction, he directed me to sound that call for 'Taps' thereafter in place of the regulation call. The music was beautiful on that still summer night, and was heard far beyond the limits of our Brigade. The next day I was visited by several buglers from neighboring Brigades, asking for copies of the music which I gladly furnished." The call was first used for a military funeral in this same year. This month Susan Bradford Eppes of Tallahassee, Florida records in her diary, "Three days of each week are devoted to sewing for the soldiers.. Often we sew steadily for days at a time." Susan and her friends are not alone; in all part of both North and South women are making clothes, quilts, and bandages for the soldiers. It is estimated that Northern women made and donated over 250,000 quilts to the U. S. Sanitary Commission -- all done before most women had a sewing machine. In June 1862, as the Seven Days Battle rages mere miles outside the besieged Confederate capital of Richmond, Va., Narcissa Powers attends to the wounded filling the cots of the Chimborazo pavilion hospital where she volunteers. This backdrop sets the scene for a brilliant series of puzzles, from much-needed morphine missing from the hospital to a "dead" patient who up and disappears. The crucial suspense angle draws on historical fact-an apparent slave placed by a local abolitionist in Davis's household operating as a spy. In 1862 eleven-year-old Summer and her thirteen-year-old brother Rosco take turns describing how life on the quiet Virginia plantation where they are slaves is affected by the Civil War. Without exploitation, the historical novel reveals the brutal oppression of slavery--the physical violence, the arduous labor, the threat of loved ones separated at auction. But the individual characters, both black and white, are drawn with complexity as the compelling story reveals the intricate connections between them. Gr. 5-8. 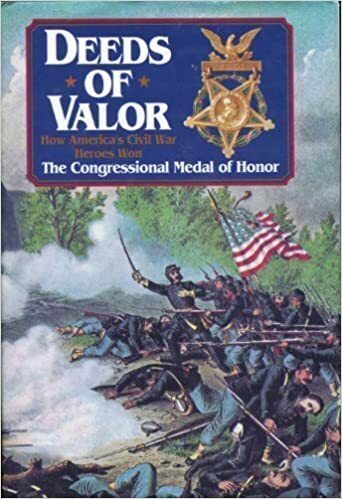 A compendium of personal memories and records of Civil War soldiers who were the first to be awarded the Medal of Honor; this book contains 293 war stories of heroic acts that occurred during 185 battles and engagements of the war. At its time of first publication, many of these soldiers were still alive and the book is largely based on interviews and first person accounts. Contents: Land operations in Virginia in 1862 / John S. Salmon -- Virginia's industry and the conduct of war in 1862 / Harold S. Wilson -- Virginia's civilians at war in 1862 / John G. Selby -- The trials of military occupation / Thomas P. Lowry -- Richmond, the Confederate hospital city / David J. Coles -- Virginians see their war / Harold Holzer -- Virginia's troubled interior / Brian Steel Wills -- Lee rebuilds his army / Dennis E. Frye -- Diary of a Southern refugee during the war, January-July 1862 / Judith Brockenbrough McGuire ; edited by James I. Robertson, Jr. Letters to Eliza from a Union soldier, 1862-1865, edited by Margery Greenleaf. Illustrated with original drawings, by Louis Cary and with contemporary pictorial material and documents, pub. 1970, 176 p. As George Fowle marched through Virginia in a seemingly unending war, he wrote letter after detailed letter to his sweetheart Eliza Caldwell back in Massachusetts. This well edited volume is interesting and informative reading. Kathleen Tracy has outdone herself with this combination of lovely projects and fascinating historical tidbits. Patterned after quilts made during the Civil War era, this collection is ideal for nineteenth-century reproduction fabrics. Choose from 16 easy projects, including large and small quilts, plus a pincushion, sewing box, and needle case. Learn how women's efforts during the Civil War era led to increased civil and political involvement among women. See historical photos and read eloquent excerpts from letters written to and from soldiers during the Civil War. This book opens with a brief history of cavalry in the antebellum era and a two-page overview of the background of the conflict. The equipment, equine, and training needs of a cavalry are explained, as well as the strengths and weaknesses of these units in the Union and Confederate armies, and their importance in the conflict. The roles of irregular, guerrilla, and outlaw operations are examined and important leaders such as Jeb Stuart, Nathan Bedford Forrest, and Philip Sheridan are profiled. This is an attractive book, with a pleasing layout and well-chosen period photographs and full-color reproductions. Gr. 5-7.